The Wooden House is arranged in separate classrooms. Each class teacher is responsible for their group of children and is able to offer individual care and attention made possible by the high ratio of staff to children. All our class teachers have a minimum qualification of NVQ Level III or equivalent. We attend regular training courses and are all qualified in First Aid with a sound knowledge of Safeguarding procedures. Qualifications & Responsibilities: QTS, Cert. Ed, Safeguarding Children Group 3, Administration, Behaviour and Management. Domestic Violence & Abuse Workshop. September 2007 – achieved Early Years Professional Status. Post Graduate Cert – July 2009, First Aid (Expires June 2019). 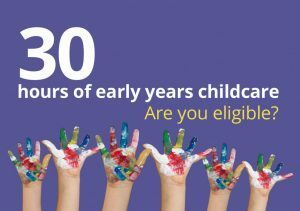 BA Early Childhood Studies, SENCO, First Aid – (Expires April 2020) Designated Safeguarding Officer Group 3 (Expires June 2020), Fire Marshall, Domestic Violence & Abuse Workshop. EYPS achieved 2011. NVQ 3, First Aid (Forest School) – Expires May 2021, Forest School Leader – Level 3, Deputy Safeguarding Officer Group 3 (Expires June 2020), Health & Safety Officer, Data Protection Officer. NVQ 3, First Aid (Expires July 2019), Safeguarding Group 2 (Expires September 2020). NVQ 3, First Aid (Expires May 2020), Safeguarding Group 2 (Expires September 2020). NVQ 3, First Aid (Expires April 2020), Safeguarding Group 2 (Expires September 2020). Cache Level 3 Diploma in pre-school practice, First Aid (Expires April 2020), Safeguarding Group 2 (Expires September 2020). Cache Level 3 Diploma, First Aid (Expires May 2021), Safeguarding Group 2 (Expires September 2020). First Aid (Expires May 2021) Safeguarding Group 2 (Expires September 2020),City & Guilds Level 3 Diploma for EYE (Early Years Practitioner). RSA III Typewriting, RSA II Word Processing, RSA II Audio Transcription.